Posted May 29th, 2015 by Andrew Lodge & filed under News. 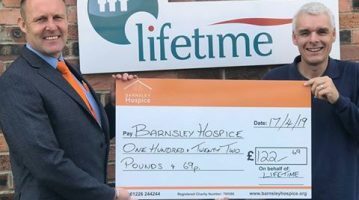 Great day for a great cause – Lifetime-sponsored Barnsley Hospice golf day hits the heights! Posted May 26th, 2015 by Andrew Lodge & filed under Uncategorized. Posted May 26th, 2015 by Andrew Lodge & filed under Community News, News. Posted May 26th, 2015 by Andrew Lodge & filed under Community News. Posted May 20th, 2015 by Andrew Lodge & filed under Community News, News. Posted May 14th, 2015 by Andrew Lodge & filed under News. Posted May 13th, 2015 by Andrew Lodge & filed under Community News, News. Posted May 8th, 2015 by Andrew Lodge & filed under Community News, News. 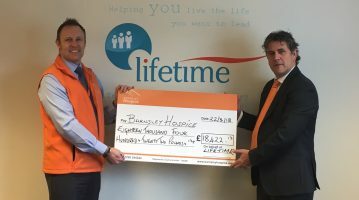 Lifetime charity bake-off attracts some mouth-watering entries! Posted May 5th, 2015 by Andrew Lodge & filed under Community News, News.